This .32 S&W Long ammunition is perfect for your .32 Long revolver. 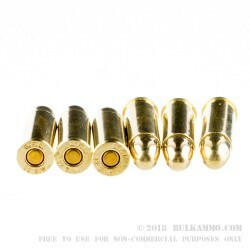 These rounds are specifically designed to meet the needs for target shooting, training and plinking. This 38 SW Long ammunition is brand new production with virgin brass. Look for a muzzle velocity of around 800 feet per second and muzzle energy of about 138 Foot Pounds. 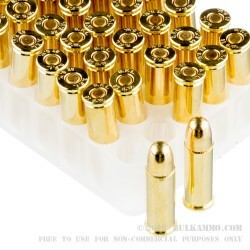 This loads are brass cased, boxer primed and fully reloadable. The loaded FMJ bullets are true copper over lead. 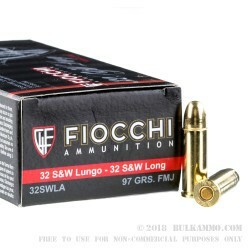 Fiocchi produces excellent quality ammunition that is priced competitively for the hunting and shooting community. All Fiocchi ammunition is built to NATO mil-spec on precise high tech machinery in a world class, state of the art factory. 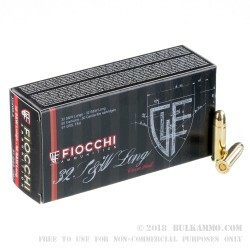 When you buy Fiocchi, you are shooting the same ammunition trusted by over a dozen NATO countries to equip their armed forces.